Megan Farris began performing on stage at the age of 5 as the Mother Kitten in the short production of 3 Little Kittens Who Lost Their Mittens and hasn’t known what else to do with herself since then. She earned a BFA in Theater Performance from Millikin University and is also a graduate of The Second City Conservatory. Over the past decade and a half she has performed with various improv groups including Trying Too Hard, The Shelter, Theater Momentum, Such Good Friends, and International Stinger. Megan has also been spotted performing with local theater companies including Theater Hikes, That's Murdertainment, and Donna and Rocco's Big Fat Italian Wedding, online in some web-things, in print ads she has never seen, and in a few independent films. 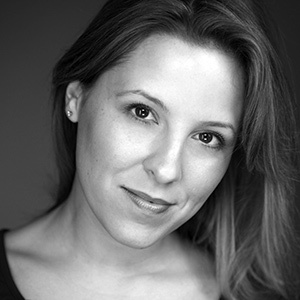 She teaches improv, theater performance, and film acting with Harper College's InZone program. Additionally, she has spent the past 15+ years working in film and video production and has written and directed a number of award-winning and acclaimed short films. She can currently be found performing with Such Good Friends and International Stinger. Her true love is improv, but if her husband asks, its most certainly him.